Happy Halloween U of T! Due to this ominous occasion, I decided on another post in the Disability Series, tackling the details of what some consider a mysterious disability: Autism Spectrum Disorder. This past month was Autism awareness month in Canada, so I thought I’d end by sharing facts about it as well as my personal story! This might be quite a lengthy post, so grab a snack or drink, and settle in. Don’t be scared to read on…. Autism is known as a spectrum disorder because there is wide variation in the type and severity of symptoms people experience. ASD occurs in all ethnic, racial, and economic groups. Although autism affects individuals for life, treatments and services can improve a person’s symptoms and ability to function. 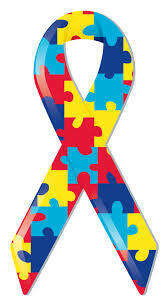 Autism Spectrum Disorder is most commonly diagnosed in children, however, diagnosing in adults is not uncommon. Some adults spend all their lives struggling with various obstacles, only to be diagnosed later in life. Women are diagnosed proportionately 5 times less than men. Some benefits of a professional diagnosis are that it may correct a previous misdiagnosis, help you understand your experience, and assist in getting access to appropriate services and benefits, such as accommodations at Accessibility Services. As an individual with high-functioning autism, I find myself constantly stuck between invalidating my disability and simultaneously struggling alongside my neurotypical peers. I’m sure many people relate to thinking that their disability isn’t severe enough for them to seek support or validate their shortcomings. It was extremely hard for me to learn that there is no measure for a struggle, and you don’t have to constantly justify it to yourself. In many ways, I’m still learning that my disability is responsible for some imperfections but with time and patience I’m also learning that it has shaped a lot of my great qualities as well. Denying yourself support and help is counterproductive, because you could always be coping better with your disability than you are right now. The University of Toronto has many ways in which it supports students with Autism Spectrum Disorder. For me, applying for a work-study was extremely helpful, as it allowed me to feel productive and make a little money, while keeping up with my academics. Work-studies are a great option for those who feel overwhelmed by the idea of managing a regular part-time job alongside schoolwork. Check out https://clnx.utoronto.ca/myAccount/jobs/work-study/aboutws.htmfor more information on how to apply. Another wonderful initiative the University of Toronto offers is the Social Association for Students with Autism (SASA). If you are a student living with ASD, you can join fellow students for informal discussions and group settings in a welcoming social setting. For individuals with ASD, engaging in social activities can be extremely frightening, and many avoid the opportunities altogether because of fear. SASA provides students with a chance to connect and develop new friendships based on mutual interests. To learn more about SASA, or to participate, contact your Accessibility Advisor, or email the program coordinator, rouya.botlani.esfahani@utoronto.ca, directly. Autism does not have to be a taboo, something so unearthly and unknown that it is too scary to talk about amongst your friends and family. Even if you are an individual who does not have experience with ASD, educate your friends and family about the disorder, and help to spread awareness. If you have experience with ASD, remember that no matter how lonely you feel, you are not alone. There are many more, just like you, struggling with keeping our GPAs off the ground and maintaining friendships. We’re all here. Just look for us.